I think we paid about $90/month for that initial basic TV/Internet package from Time-Warner, soon to be Spectrum, It included 300 mbps wifi download speeds. Last month, my monthly Spectrum bill hit $148. Enough was enough. 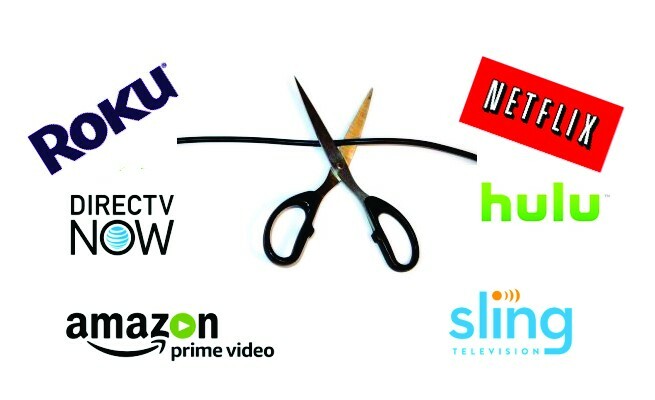 I decided to cut the cord. 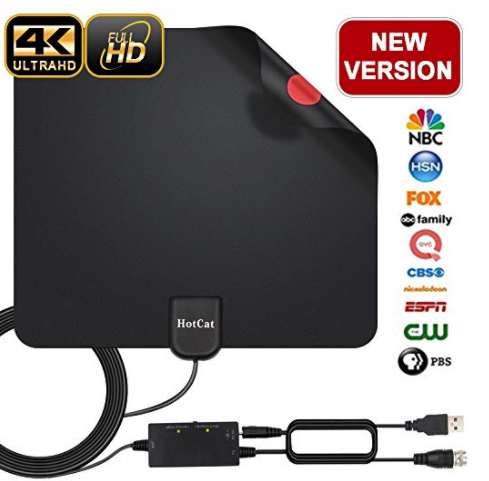 I purchased a HotCat HDTV Antenna for $25 via Amazon, packed up and returned the two cable boxes, modem and router to the Spectrum store around the corner, and had the FiOS installers proceed to run their thin clear fiber along the baseboard to the room where my 2017 Macbook Pro resided. Also, I observed that Verizon’s promised 1GB Internet download speed never exceeded 450 mbps, and this was both wirelessly and wired via an ethernet cord plugged directly from the router to the Macbook’s USB-C port (via my Lention dongle). Nor was the WiFi signal sufficiently strong to fire up the smart TV in my bedroom, in spite of the FiOS sales pitch on coverage area with walls posing no deterrence. Inexplicably, I had upload speeds of 790mbps +/-, which came closer to what FiOS advertised. I called FiOS to set up an appointment since re-booting the router from their home office did nothing to enhance the download speed or coverage zone. The service visit happened to coincide with the day that New York State announced a record settlement with Charter Spectrum from which the (much-reviled) ISP would repay its subscribers $174 million for “failing to deliver promised service,” i.e., Internet speeds. 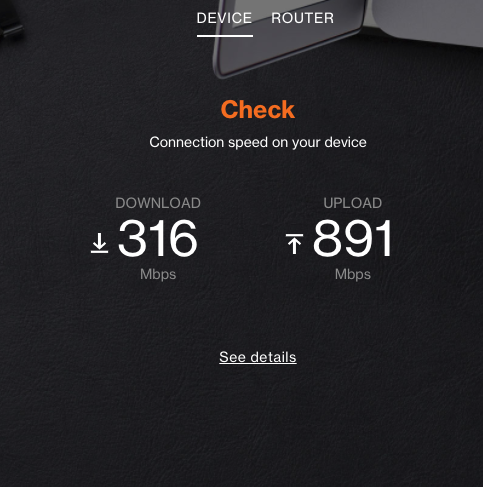 — My hardware (two Macbook Pros, two iPhones, an iPad and two Smart TV’s) are not built to handle 1GB download speeds of FiOS’s “state-of-the-art router.” Huh? My 2017 Macbook has an 802.11AC wireless card, which “supports 2300 mbps/second,” according to Apple. — The walls between the FiOS router and my bedroom less than 20 feet away are too solid to allow the WiFi signal to reach my second smart TV. 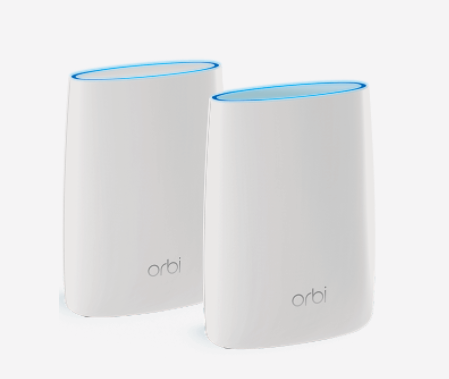 — I should consider purchasing Netgear’s pair of Orbi mesh wifi system (in the Verizon Store) for $350 (! ), which is “compatible” with Verizon FiOS’s router. Needless to say, I am quite displeased with Verizon at the moment. 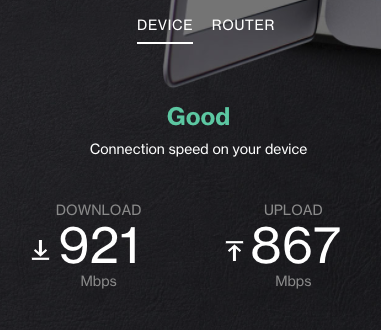 I called Apple and spoke to a senior tech named Angela who confirmed that my Macbook’s 802.11 AC wireless card could easily handle the FioS router speeds as evidenced by the 900mbps upload speed running through the same Macbook wireless card. She pointed me to an online forum, which showed that I am clearly not the only FiOS customer with these issues. At Verizon FiOS tech support, I spoke with Jessica and then her supervisor Amy. Both said that Verizon can’t guarantee the advertised speeds to my devices — hard-wired or otherwise. They can only deliver them to their router, but that’s as far as they’ll go. Neither had an explanation why my download speeds were less than half advertised. Amy blamed the dongle into my Macbook Pro…even though the same dingle allows upload speeds pushing 800mbps. Maybe the State of New York State should take a look at FiOS’s advertised Internet speed claims for customers. Seems like this deception has the makings of another lawsuit with another big payout! Flash forward: one week later. Over the holiday weekend I tweeted a link to this post to @verizonsupport, which, to its credit, quickly messaged me to offer assistance. I exchanged a few DMs and then conducted a speed test (on VZ’s speed test platform). Voila! Finally hitting some very respectable numbers. So much for the dongle degrading the signal into my MacBook Pro’s USB-C port!